Classroom safety has become a lightning rod topic over the past several years. 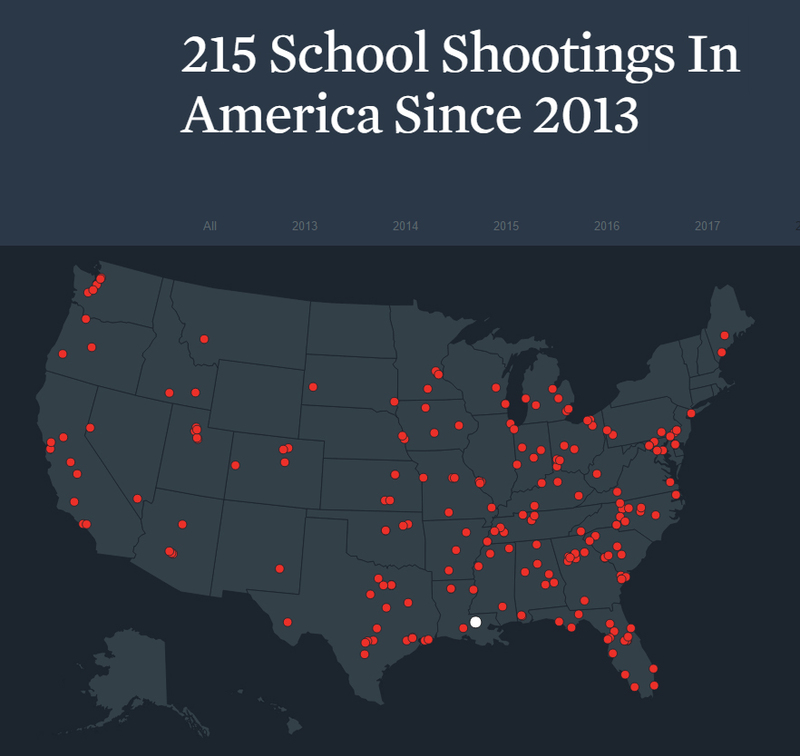 A graphic put together by Everytown Research Group maps out the 215 school shootings that have occurred across the country since just 2013. This alarming figure has greatly concerned parents, school workers, and safety workers, and when they search for answers they often find conflicting theories on what “best practices” to follow. Manufacturers offer many products marketed as an effective way to lock out a criminal, with door barricades being among the most popular. At first glance, many of these products look like a good solution. However, closer research reveals that many of them violate building codes, fire codes, and life safety standards. Even worse, some can either impede the police and other first responders from being able to help or be used by criminals to assist them in causing mayhem. How do we prevent or slow down an active shooter? Does the solution make sure that a criminal cannot lock him or herself into a classroom? Does the solution lock out the police or emergency responders? How do we ensure the solutions implemented don’t produce unintended consequences such as fire hazards? In this latest blog post, we will look at a case study that illustrates the function of door barricades, as well as their pros and cons. We will also see what security professionals offer and recommend to protect classrooms against intruders and violence. What Does the Law Say about Door Barricades? In the wake of these school shooting incidents, many companies have invented devices intended to provide instant lockdown protection to classrooms. Many teachers and parents have pushed hard to equip their classrooms with such devices. In 2015, a group of Ohio parents in the Southwest Licking School district raised $30,000 to outfit their school doors with lockdown devices. However, issues were identified with the devices violating current building and fire codes. When the Ohio State Board of Building Standards informed the district of the devices’ flaws and banned their use, the local school district appealed. A very interesting legal battle followed, with both industry and school speakers presenting their sides of the argument. 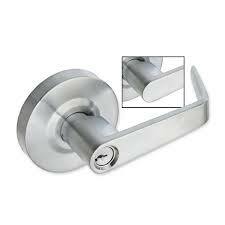 All locks or latches on egress (exit) doors must operate with a single motion. No special knowledge, pinching, or twisting of the wrist should be needed to remove a latch. Any hardware attached to a fire door must be a UL-listed fire device. ADA requirements also restrict the height of the operable part of most locks and latches on doors to a range of 34 to 48 inches to prevent the unintentional trapping of someone with a physical handicap. Many of the quick fix barricade devices violated one or more of these requirements. 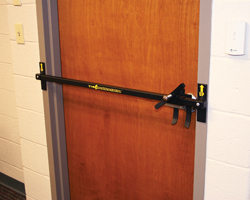 For example, some secure the very top or very bottom of classroom doors. Operating many of them required special knowledge, and most were not UL approved for use on fire-rated openings. For these and similar code violations, the Board told the fundraisers in the Southwest Licking School District that they could not install these devices. Why Would Anyone Oppose Door Barricades? Some have argued that concern over shootings should trump fire safety. However, these quick fix barricade devices also exhibit security concerns. During the issue’s litigation, former Superintendent of Chardon City Schools Joseph Bergant spoke out against barricade devices. Bergant pointed out that these devices do more than block fire evacuation. They also lock the authorities out of a room and can make it difficult for students to leave. In news coverage surrounding the issue, Bergant pointed out that an intruder could do more damage with the means to lock students in the room and authorities out. Bergant’s thoughts were noteworthy given his unique experience as superintendent. Chardon High School had a shooting in 2012 that left three students dead and another three injured during his tenure. Ultimately, the school district lost their appeal by a 4-1 vote, and concerned parents pleaded their case to local politicians. Despite the efforts of Superintendent Bergant and the Board of Building Standards, new legislation has forced the modification of safety codes in Ohio to allow barricades. Despite leaving many safety and security professionals unhappy, the new laws settled the issue in Ohio. 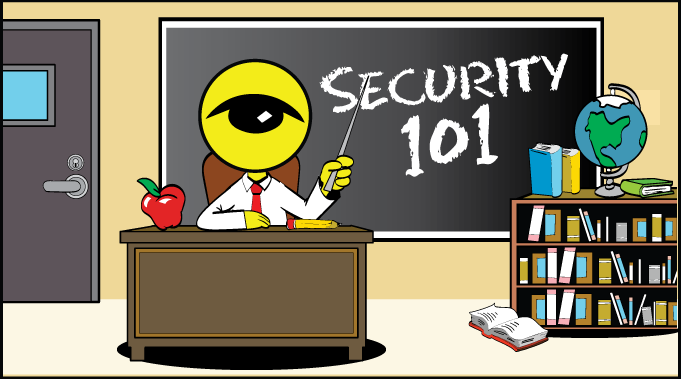 In most locations, however, schools must still choose security equipment that meets local safety codes. Choosing the right equipment is not always easy, and requires input from many different stakeholders. What Options do Security Professionals Recommend? The number of options for securing classroom doors speaks to the fact that a quick and easy solution that doesn’t cost a lot of money simply doesn’t exist. The products available for the task meet just a couple of those characteristics. In addition, there are multiple viewpoints on what the best way to handle an active shooter is so one must navigate through products designed to meet different objectives. 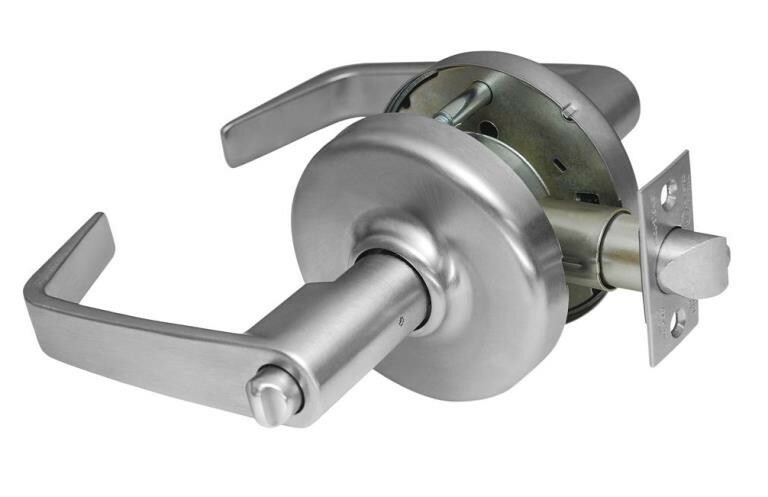 Finally, high-quality, code-compliant lock hardware designed for classroom security generally costs much more than the quick fix barricade devices. In her article “Door Security & Safety Foundation Represented at Ohio Hearings,” Lori Greene writes, “It’s important to help code officials, school districts, legislators, law enforcement, and parents understand the risks involved with putting lower-cost security ahead of safety.” Lieutenant Joseph A Henry also writes that “most facilities are looking for cheap solutions to solve a long ignored problem.” Choosing the right hardware to secure a school is a good first step. In addition, fire and police authorities must work with school officials to find lockdown and security solutions that do not create new problems or make the problems they are designed to stop worse. Before school shootings became a concern, the standard lock that many classrooms utilized was called a “classroom function” lever. These levers lock and unlock from the outside with the use of a key. They never lock or unlock without a key, and since the inside has no keyway, key holders must lock the door from the hallway. (See Figure A.) 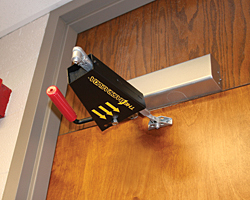 In response to school shooting concerns, a new function was designed called a “classroom security function.” Door locks with this function can change their “locked” or “unlocked” status on both the outside or inside of the classroom, but still only through the use of a key. (See Figure B.) 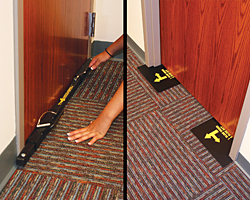 With this function, teachers do not have to enter the hallway to lock the classroom door. Some schools prefer doors that students can lock in an emergency. “Entrance function” levers feature a turn or push button that allows students to lock the door from the inside. 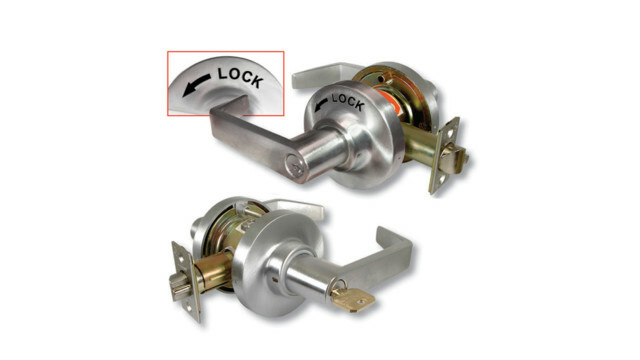 (See Figure C.) Schools with older students may decide this is desirable, but schools with younger or more unpredictable students may not want this type of lock because students could lock students or teachers out as a prank. Lock manufacturer Corbin Russwin provides a handy guide a handy guide to the various lever options for schools and businesses. School officials should consider the age of their students, the desired function of the lock, and the security and convenience issues of each function while choosing classroom locks. Lieutenant Henry points out that poor design decisions cause many security issues. For example, an intruder should not be able to tell if students are inside a classroom from the hallway. However, classroom doors often have windows that allow an intruder to scope out potential victims. School and campus designs also include outdated features that do not protect interior or exterior shooters. Many school buildings feature unsafe interior windows where a wall would provide more security. Some of these same buildings include exterior windows that don’t open, locking students into a classroom in a situation where they should climb out. Designing a school with safety in mind can lessen the desire to buy cheaper after-market security products after the fact. Schools can use renovations and additions as opportunities to proactively address safety concerns. In her article “What Price Security,” Jesse Roman predicts that “The 2018 editions of NFPA 101 and NFPA 5000 will likely add substantial new school security language.” Changes could include adding more security drills, as well as adding a specific school section to the 2018 code. This would allow school officials searching for security to find their code information in one place. Code officials do recognize the need to make sure codes help schools stay as safe as possible. However, it is important that officials make changes through a careful process, not as a knee-jerk reaction. Through making informed hardware and design decisions, providing proper safety training for staff and students on security precautions and equipment, and creating safety codes that provide as much security as possible in all situations, school districts and the security industry can work together to create the safest school environment possible.